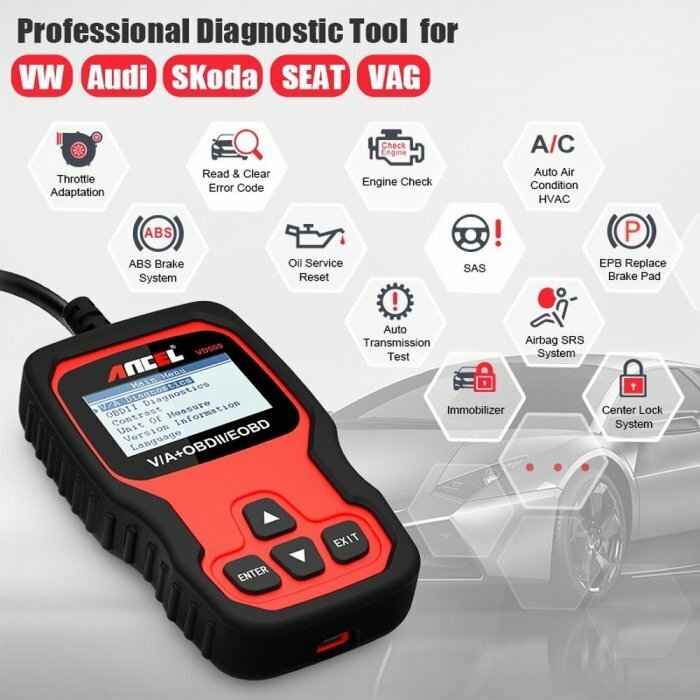 Works on most from 1996 and newer cars & light trucks that are OBD II compliant Volkswagen ,Audi Seat, skoda sold worldwide Supports only English and German. For ALL V/A Series vehicles, ANCEL VD500 scan tool include OBD Basic Functions and Special functions. 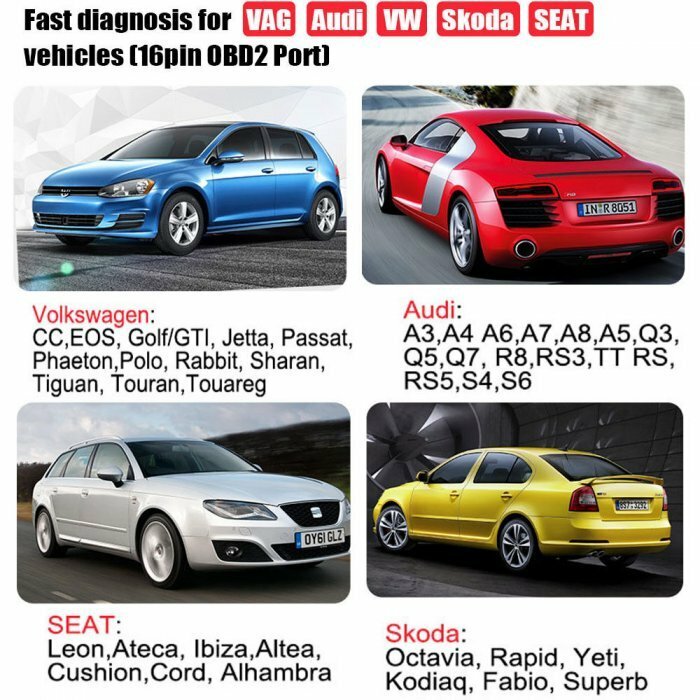 Read Codes, Clear Codes, SRS , Airbags System , ABS, Transmission System, SAS, ESP System, EPB Service, Read Vehicle Info (VIN, ECU), Oil Service Reset, Throttle Position Adaption and Brake Pad Reset. 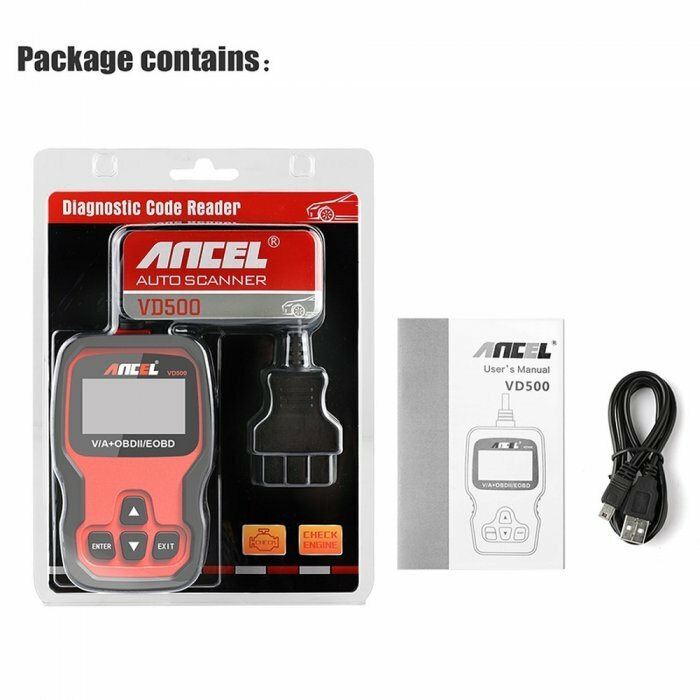 For CAN OBD II vehicles, ANCEL VD500 scan tool read and erase stored emission-related codes and pending codes and show the definition of the codes, Check and turn off the engine check light (MIL), Read Vehicle. 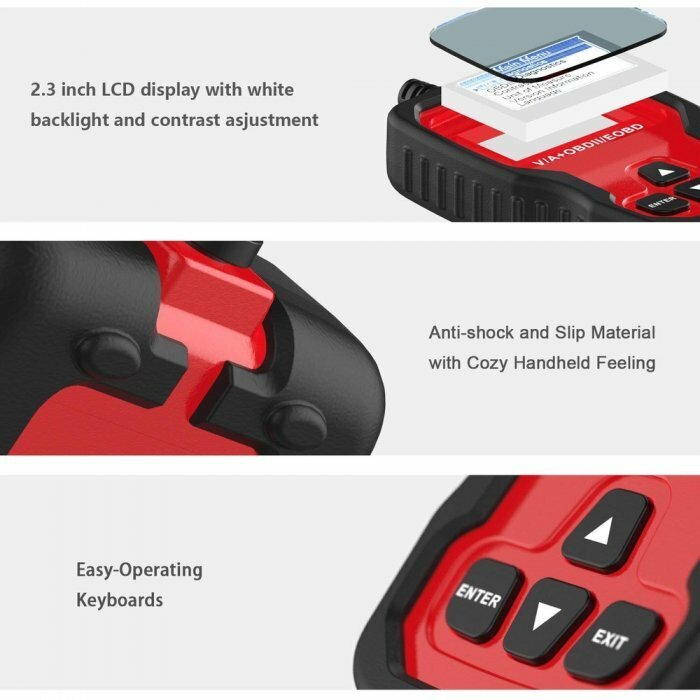 It can easily determines the cause of the Malfunction Indicator Light( MIL), turns off Malfunction Indicator Light (check engine light), saving time and money for you to provide the best solution. 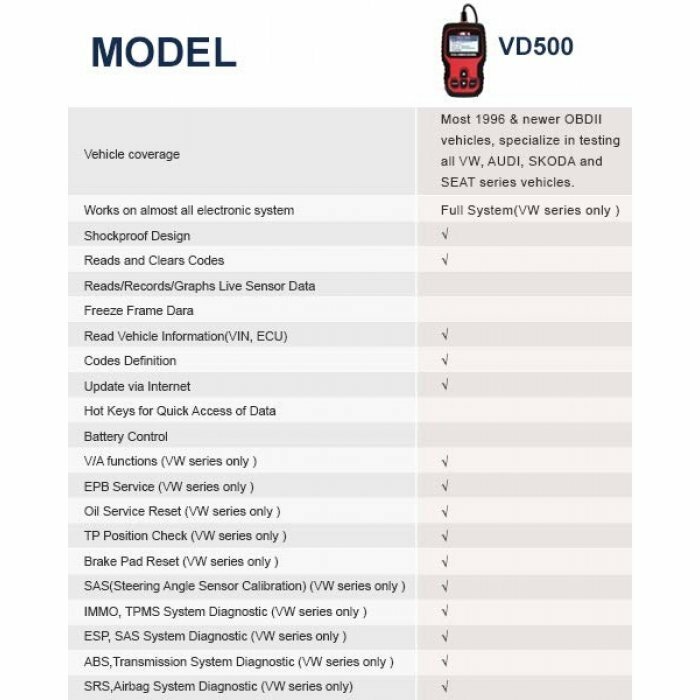 The VD500 is a super OBD2 Scanner for detecting both on Volkswagen Series ( VW, AUDI, SKODA and SEAT) and other OBD-II Vehicles. Sometimes shops neglect to reset the maintenance-required meter if the light doesn't happen to be on yet when they are changing the oil. Many quick-lube shops simply don't know how to reset it. 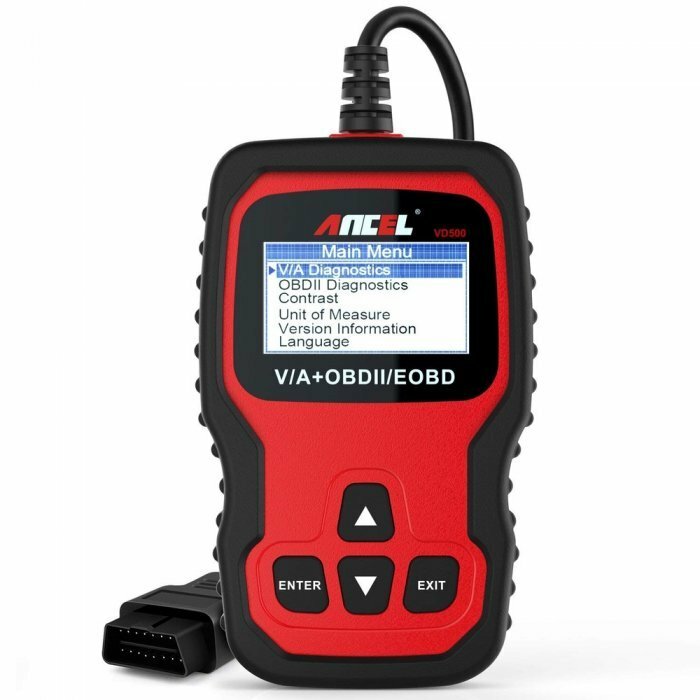 OBD2 scanner oil reset comes on strictly as a function of those miles can through maintenance-required light comes on to remind you to change your oil. The TPS connects to the throttle plate on the throttle body. The position sensor has a variable resistance potentiometer that sends a varying voltage signal to the Power Control Module (your car's engine computer) according to the position of the throttle plate. With the engine running, the position of the throttle plate (along with other sensors) tells the computer how much fuel the engine needs at any given moment. OBD2 scanners correct signal coming from the TPS, remind you begin to notice drivability problems. Electronic handbrake is a technology that realizes parking brake by electronic control. Unlike the traditional handbrake where the driver pulls the level, in EBP the driver presses a switch. The switch then sends a command to electronic brake module. The module senses that the parking brakes need to be operated then sends a command to actuators in the brake calipers. ANCEL code reders a trick to save you money and time. 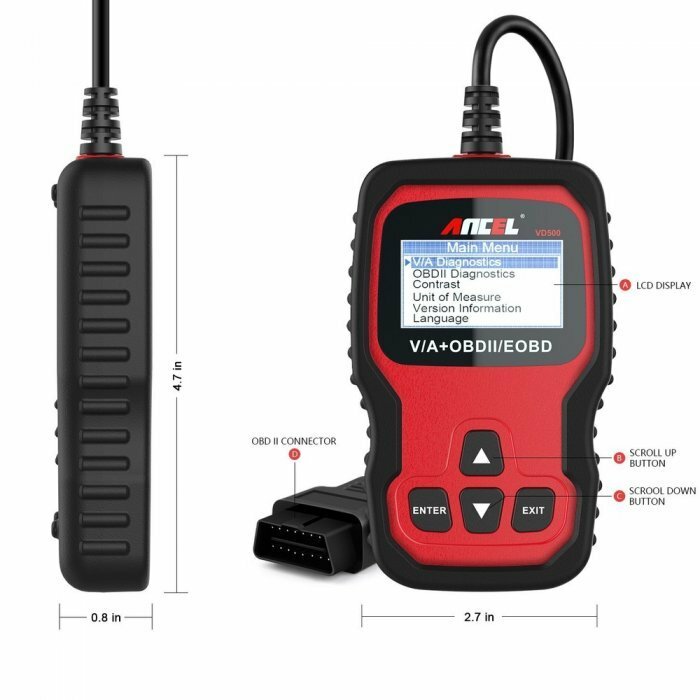 OBD2 diagnosis code readers major function is detecting the engine system, read and clear the error codes. 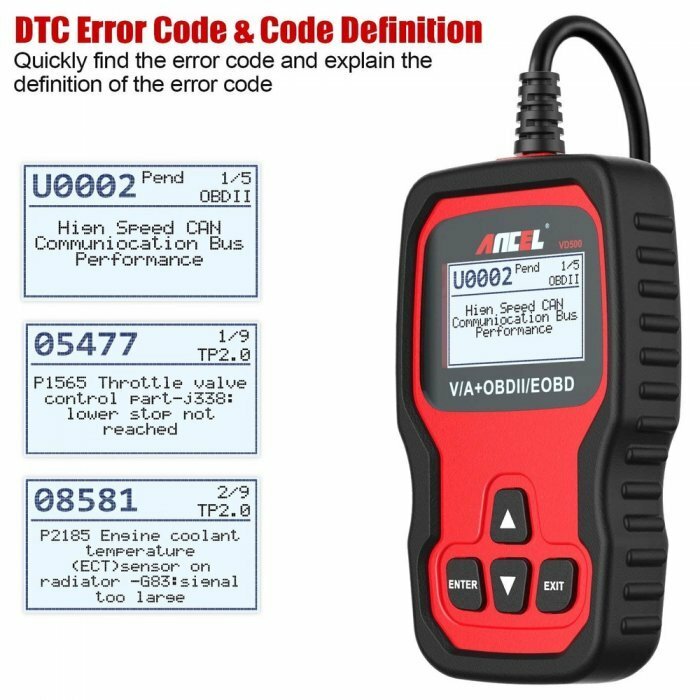 If your vehicle has a check engine light comes on, you can use OBD 2 scan tool to read the error codes, can quickly identify problems and resolve themde. 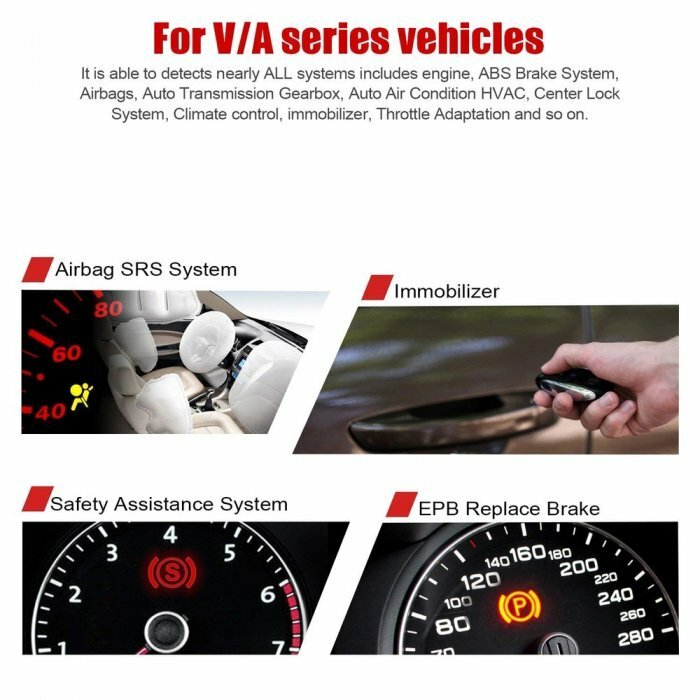 ABS Brakes is a automotive safety control system with anti-skid, anti-locking and other advantages. It can also be turned in the braking state of the car to ensure the stability of the braking direction of the car and prevent side slippage and deviation. OBD2 scanners can quickly detect ABS failure and clear the error code. The Transmission is a mechanical or hydraulic device that performs mechanical power conversion. OBD 2 scan tools can help you maintain the system. The fault light will light up once the fault code is detected. remind must check the transmission fluid to make sure there is enough fluid of sufficient quality available for your transmission to perform correctly. The airbag system is a passive safety protection system that works with seat belts to provide effective crash protection for the occupants. Before the collision,Check fault Light to help you find it and it can read the wrong code and clear, many serious injuries have been averted thanks to airbags. Steering wheel angle sensor, a component of vehicle stability control system, is mainly installed in the direction column below the steering wheel.When colliding, or when the two vehicles are in different directions, when the distance between vehicles in the same direction is lower than the set limit, the electromagnetic system, voice system, and radar system will prompt you to achieve the purpose of protecting the people and the safety of the car. Battery Check is the ECU monitors the battery. If there is a problem with the battery, the fault light can read the fault in the ECU and clear the fault code. Electronic Stability Program can improves a vehicle's stability by detecting and reducing loss of traction (skidding). When ESC detects loss of steering control,check the fault light will prompt, it can help minimize the loss of control.